Since opening their doors in 1996 and then being the first to offer an automated orthotic manufacturing service to New Zealand in 2004, Ganley Orthotics have been industry leaders in the design and manufacture of exceptional, superior quality custom-made orthoses. 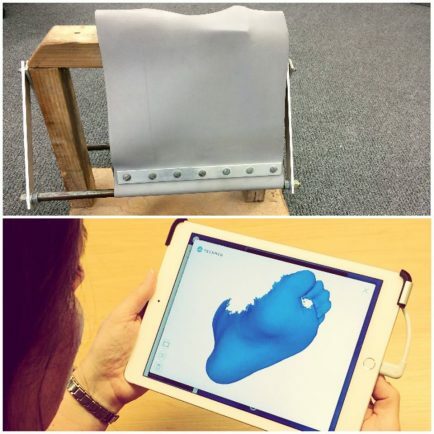 We employ the latest techniques; CAD design, CNC milling and 3D laser foot scanning, to ensure that these life-changing devices are created through effective, accurate and reliable processes so you and your patients can get the best outcomes. 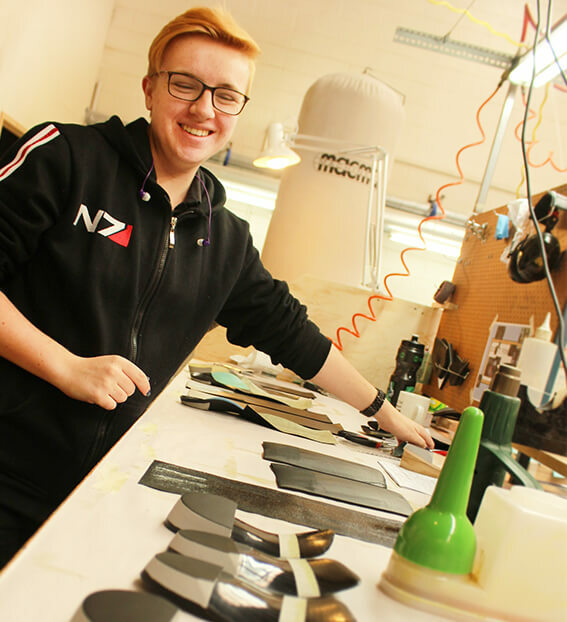 We believe that crafting the finest orthotics requires more than superior materials and advanced design techniques alone. As much as we love our cutting edge technology, there is no substitute for experience. Our custom orthotics are designed by our experienced podiatrists and crafted with care by our experienced technicians, not computer algorithms. You won’t receive an automated, standardised device matched to the cast from a library of pre-designed shapes. Our podiatrists can be reached anytime during business hours, by phone, email or even Skype, to chat about the best prescription for your patient. We couldn’t be happier to help. Ganley Orthotics was conceived over 20 years ago from Tim’s desire to produce superior custom orthotics for his private patients, which he began making from his home. From those humble beginnings, we grew to supplying local podiatrists and now a large portion of podiatrists nation-wide. Seeing such positive clinical outcomes in patients and those of the podiatrists we supply is what drives Ganley Orthotics to be the innovative full-time lab it is today. Image: Tim’s very own handmade orthotic press when he first started out over 20 years ago! Fast forward to today where our lab uses 3D iPad foot scanning. Being a father to two teenage boys, a husband, and the Managing Director is a big task, but Tim does it all amazingly. 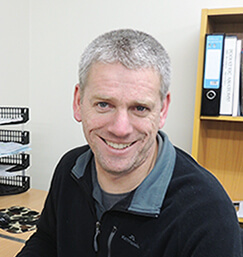 As well as managing and directing, Tim’s focus is on producing high quality, effective foot orthoses made skilfully and expertly, which tens of thousands of pairs of orthotics can definitely attest to! 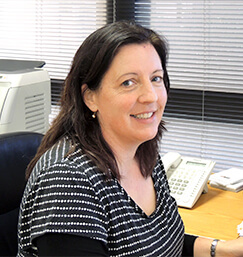 Paula is usually the lovely voice you’ll hear when you first give us a call! She’s responsible for all administration and is always happy to answer any questions you may have. Outside of work hours, she is also Tim’s boss. We are fortunate to have a loyal team of skilled technicians who have each worked for us for an average of more than eight years. As a team we take pride in crafting orthotics and delivering a beautifully presented device that you can be proud to provide to your patients. All our staff love to hear your positive feedback on the real difference orthotics make to your patients life.